WAUKESHA, Wis.--(BUSINESS WIRE)--Oct. 7, 2013-- Generac Holdings Inc. (NYSE: GNRC) (the “Company” or “Generac”), a leading designer and manufacturer of generators and other engine powered products, announced today the signing of a purchase agreement with Baldor Electric Company (“Baldor”), a wholly-owned subsidiary of ABB Group, to acquire substantially all of the assets of Baldor’s generator products division (“Baldor Generators”). 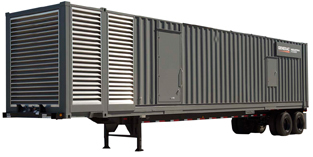 Located in Oshkosh, Wisconsin, Baldor Generators offers a complete line of portable, mobile, standby and prime power generators ranging from 3kW to 2.5MW throughout North America. For almost 50 years, Baldor Generators and its predecessors have served the power generation market with a comprehensive, reliable product offering and flexible operating environment. Following the close of the transaction, the employees of Baldor Generators will become employees of Generac and the Oshkosh, WI facility will become part of Generac’s manufacturing footprint. Although the Baldor brand name is not included past a transitionary period, Generac will continue to support Baldor Generator’s existing customers and distribution network going forward. The acquisition is expected to close in the fourth quarter of 2013, pending standard closing conditions. The terms of the transaction were not announced.